Does Include Me School Age or PreSchool charge school districts or parents a fee for inclusion services? Include Me Program support is provided at no cost to districts or families. Program services are funded by a grant from the Bureau of Special Education and by private foundation grants. How does a family member or school district personnel volunteer for Include Me support? Families and school district personnel can contact Rita Cheskiewicz, Program Director, at ritac@includemepa.org for more information about participating in the Include Me Program. How long is Include Me support service provided? An Include Me consultant will work with student teams and families throughout the school calendar year. How many school districts and students does the Include Me program support each year? The Include Me program supports 35 school districts and approximately 200 students each school year. How can the Bureau of Early Intervention Services (BEIS) grant benefit my child? The BEIS grants benefit your family through targeted technical assistance, professional development, family consultations, and family educational and leadership opportunities. What support is available if I do not live in one of the designated counties or Intermediate Unit (IU)? The Arc of Pennsylvania can offer information and resources to families. Visit our contact page to complete a request for assistance form or call The Arc of Pennsylvania at 717-234-2621 or 1-877-337-1970. How can I help as a Family Partner? Family members are the most critical members of the team. When you provide valuable insight and actively participate, the working relationship supports all members of the team. How do I request assistance if my child receives early intervention services in a designated Intermediate Unit, county, or Community Innovation Zone (CIZ)? Contact us at 717-234-2621 or e-mail Mary Mahoney-Ferster at mmahoneyferster@includemepa.org. Customized employment is a negotiated job, that focuses on creating tasks and responsibilities that matches the job seeker’s interests, skills and needs. By creating a customized job, we are able to create a position designed around the job seeker’s abilities. Employers also benefit by hiring someone that is uniquely suited to the challenges and needs of their workplace. What is the difference between Discovery, Customized Job Development, and Systematic Instruction? Discovery, Customized Job Development, and Systematic Instruction are 3 separate services that are designed to build off one another. The end goal of all of these services is paid, customized employment in the community. Discovery is the first step to developing a customized job. Discovery is a positive, no-fail assessment of an individual’s strengths, interests and needs. At the end of the process the job seeker will have a plan creating a customized job for the job seeker. Customized Job Development is the next step, and the second service that ADEPT offers. Customized Job Development takes the plan from Discovery to negotiate for a custom position. Our staff and consultants trained in customized job development specialists will research, outreach and negotiate for a customized job on behalf of the job seeker. Systematic Instruction is the third service from The Arc of PA. Systematic Instruction is a form of temporary job support with an emphasis on training the natural supports within the business. Our role with systematic instruction is to build up the capacity for employer’s trainers, supervisors and co-workers to effectively teach new skills to the newly hired individual. Who qualifies for Discovery, Customized Job Development, and Systematic Instruction services? The Arc of Pennsylvania believes that anyone can work. Discovery, Customized Job Development and Systematic Instruction are ideally suited for anyone with an impact of disability that’s struggled with traditional forms of job development or who wants customized employment. What is the appropriate age range for these services? Our services are appropriate for anyone interested in finding employment. We serve individuals from as young as 14 to adults of all ages. We recommend students of transition age (14-21) receive Discovery to help plan for their transition to work. How do I get Discovery, Customized Job Development, and Systematic Instruction services? Should OVR be unable to provide these services, ODP can offer Customized Employment through waiver funding. You will need to work with your supports coordinator and local Mental Health and Intellectual/Developmental Disabilities office to request this service. ODP will provide a list of qualified providers in your area and you can request The Arc of PA as the provider if we are available in your area. If you are a high school student or know a high school student that could benefit from these services, please contact the ADEPT Program Manager Nicole Turman at nturman@includemepa.org or the ADEPT Assistant Program Manager Anthony Chan at achan@includemepa.org. The Arc of Pennsylvania has a contract with Pennsylvania’s Bureau of Special Education to provide a limited number of Discovery services to students free of charge. What are the essential elements of Customized Employment? Customized Employment is a service that is offered by a number of providers in Pennsylvania. Here is a list of elements to Discovery and Customized Employment that all customers should expect- regardless of their provider. •	Discovery is qualitative and optimistic approach. •	Discovery is owned by the individual job seeker. All documents are approved by the job seeker. •	The findings of Discovery are recorded in a narrative profile. the job seeker that emphasizes flexibility. •	Each job is customized to the individual’s strengths, interests and needs. What is the Customized Plan for Employment (CPE)? The Customized Plan for Employment is a planning meeting to create a blueprint for a customized position for the job seeker based off the information learned in Discovery. This meeting is facilitated by the person who provided Discovery process and it is owned by the job seeker. The job seeker will choose up to 10 individuals to attend this meeting. The goal of the meeting to help shape what the customized job will look like by identifying job tasks related to the job seeker’s interests and skills. All attendees will receive copies of the Discovery profile which outlines the person’s life experiences, strengths, interest, and needs. The attendees will assist the job seeker by providing input, but all final decisions are determined by the job seeker. The outcome of this meeting will be a list of interests, potential job tasks, conditions for successful employment, and potential employers within the community. What is the Visual Resume? The visual resume is a resume that highlights the job seeker’s skills and contributions to an employer. It primarily uses photographs and videos showing the job seeker performing skills related to their desired work. The use of photographs and videos creates a unique and memorable resume for the employer. It also helps highlights the contributions of the job seeker to an employer more so than a traditional 1 page written resume. Its strength is that the pictures and videos will help an employer clearly understand the skills that the job seeker has to offer. The resume can be printed out or shown electronically. How do I get certified in providing Discovery, Customized Job Development, and Systematic Instruction? If you are interested in providing these services through the Office Vocational Rehabilitation or Office of Developmental Programs, then you must become certified through an approved trainer. 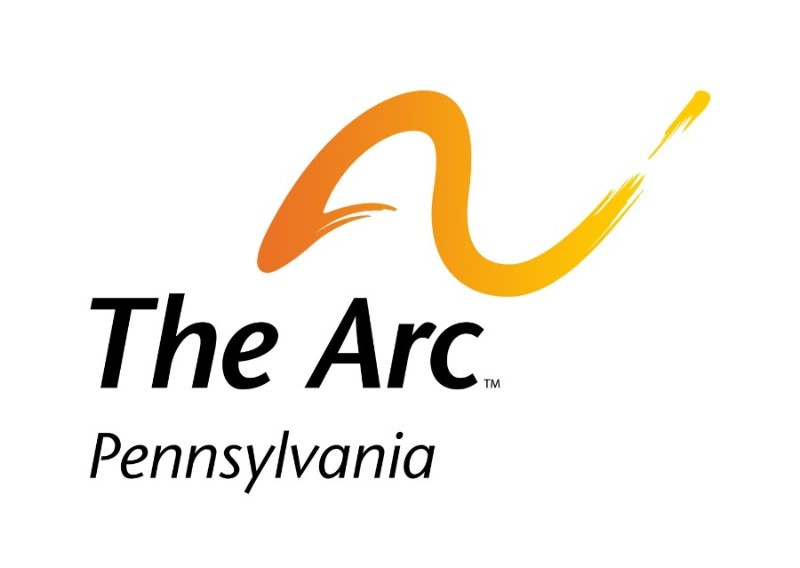 The Arc of Pennsylvania has partnered with Marc Gold and Associates to offer certification training to all interested organizations and individuals in Pennsylvania. Marc Gold is a national leader in Discovery and Customized Employment. They are recognized by both OVR and ODP as an approved certifying entity for Discovery, Customized Job Development, and Systematic Instruction. Please be aware that each service – Discovery, Customized Job Development, and Systematic Instruction – require a separate certification. For example, if you are certified in Discovery, you are not yet qualified to provide services in Customized Job Development or Systematic Instruction. There are also slight differences in the requirements to become qualified in these services between OVR and ODP. •	Must be certified by an OVR approved certifying agency. •	Must provide proof of certification. •	Must be certified by Marc Gold and Associates. experience in working with individuals with disabilities.